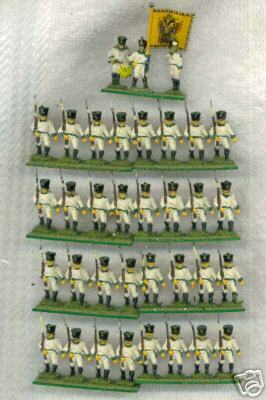 As I have mentioned elsewhere in this site, Napoleonics are my first love and I have more Napoleonic figures than for any other era. 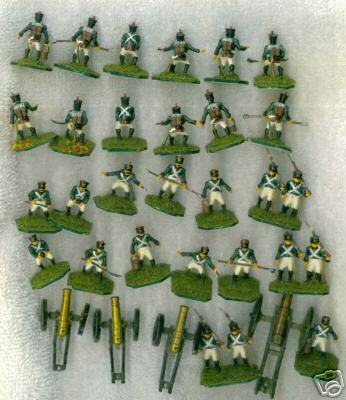 I was lured into trying Napoleonic gaming by Patrick Bauer ( a mate from school) after we finished a WW2 game one afternoon almost 25 years ago.......and have been hooked ever since. 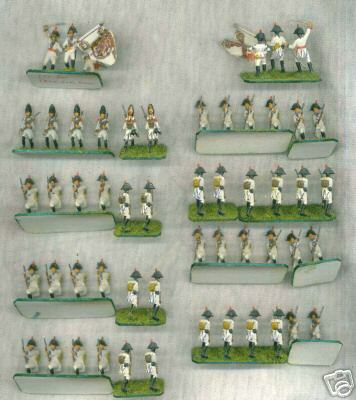 I have always gamed this era using a set of house rules drawn up by Patrick's Dad, loosely based around the old Airfix rule set. 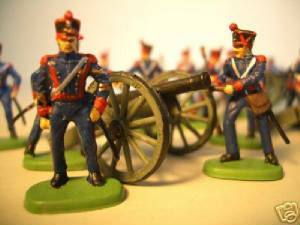 Generally the rules were modified/updated after almost every game we played (or book we read). 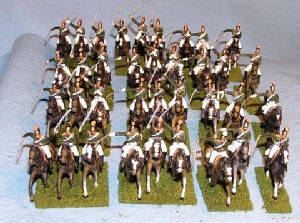 My standard infantry "batallion" comprises 20 men and my cavalry "regiment" comprises 9-12 riders. 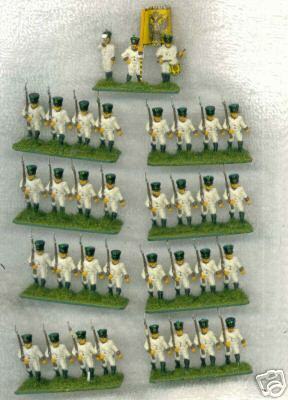 I can field 40-50 batallions for each of French, British, Russians, Austrians, and Prussians, together with their supporting arms. 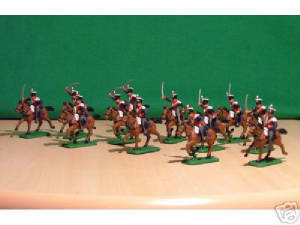 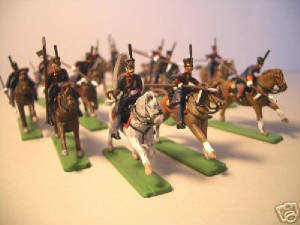 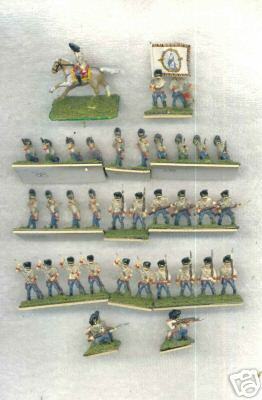 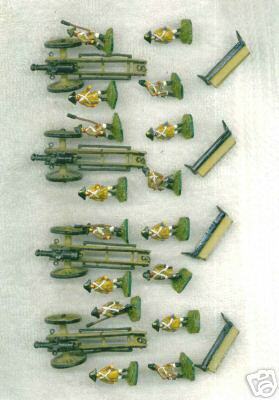 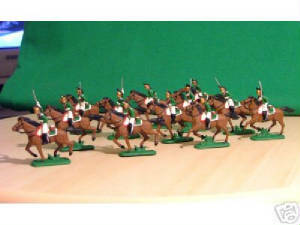 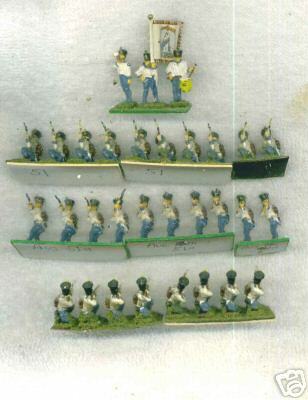 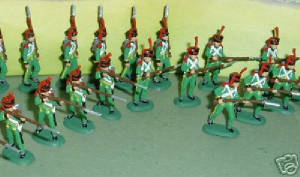 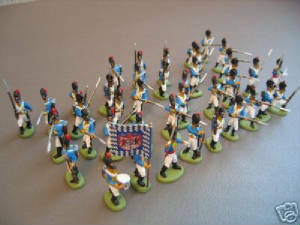 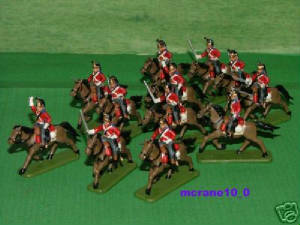 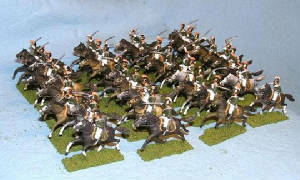 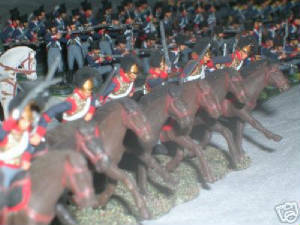 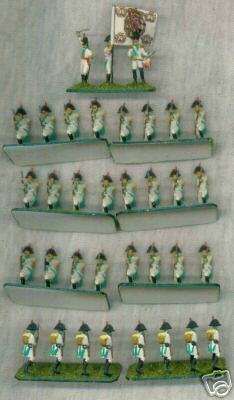 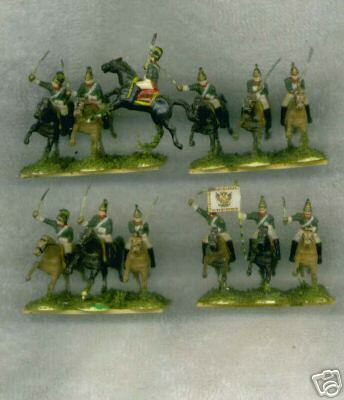 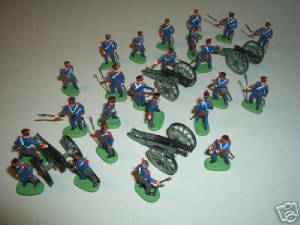 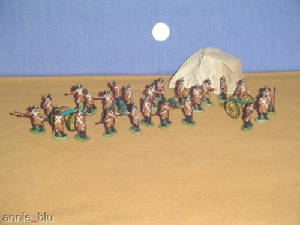 Austrian Artillery 1809 (20mm lead figures). 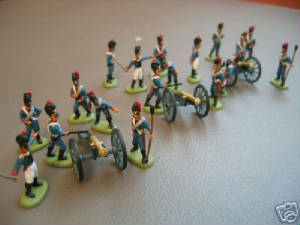 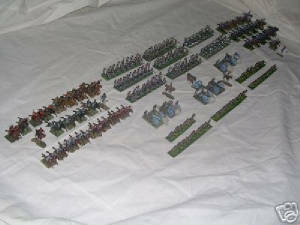 341 figures in total comprising: 2 light infantry regiments, 2 Landwher regiments, 6 Line regiments - Cavalry: 2 Cuirasser, 3 Hussar and 3 Dragoon regiments - Artillery: 2 Landwher guns and 4 infantry guns with 4 figures denoting guns in the battery. 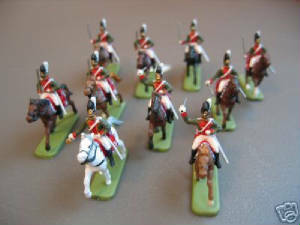 5 Generals. 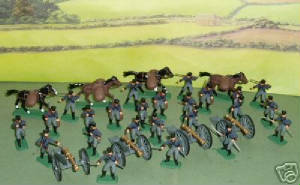 Comprising: 2 infantry regiments, 1 cavalry regiment, 1 artillery battery.